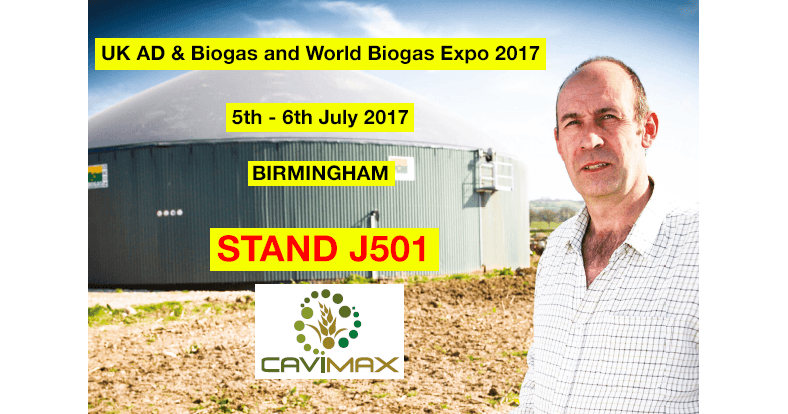 Come and meet our distributor Cavimax ltd on july 5-6 at UK AD & Biogas and World Biogas Expo 2017, in Birmingham, the first global trade show for the biogas industry. Cavimax team will host the stand J501, explaining how hydrodynamic cavitation can improve performances of existing biogas plants. A plug and play containerized plant ready to be installed next to your existing biogas plant, to short fermentation times, increase biogas volume, increase yields and use any kind of biomass. Our hydrodynamic cavitator is the only one able to generate controlled cavitation in the bulk of the suspension, instead of confined areas: this means that all the fluid is subjected to cavitation. With our hydrodynamic cavitators you can have a significant enhancement in the biogas production, do not wait, come and see them in action! 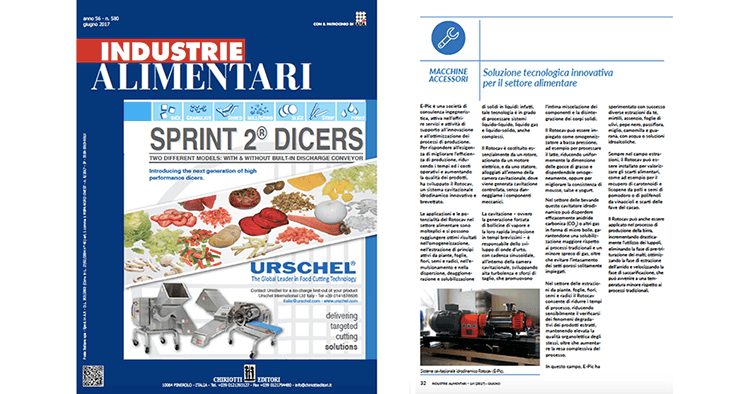 Chiriotti Editori published an article on its magazine Industrie Alimentari, year 56 - n. 580 - June 2017 - pages 32-33, about the ROTOCAV hydrodynamic cavitator and its application in the food industry: homogenization, extraction of active ingredients from plants, leaves, flowers, seeds and roots, emulsification, dispersion, deagglomeration, solubilization of solids into liquids, valorization of food waste and beer production are just a few applications of our cavitator in the food industry. Cavitation treatment can decrease by 50% bittering and aroma hops usage! Our ROTOCAV-S can be installed in the mashing stage, without pre-milling the grains, or during the boiling stage when hops are added to the wort. 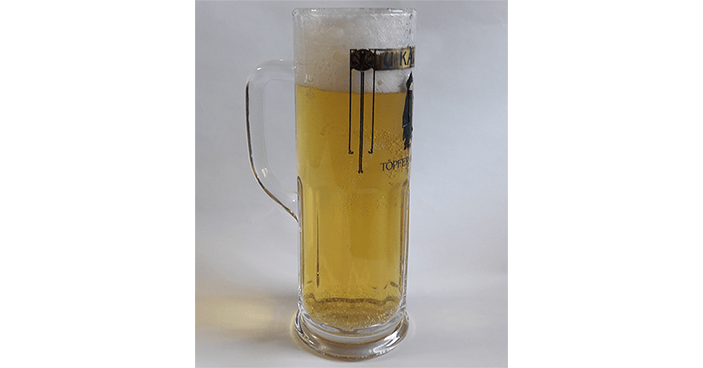 Decrease the amount of hops even during dry hopping! Decrease also the saccarification temperature, cavitation speeds up the mass transfer! 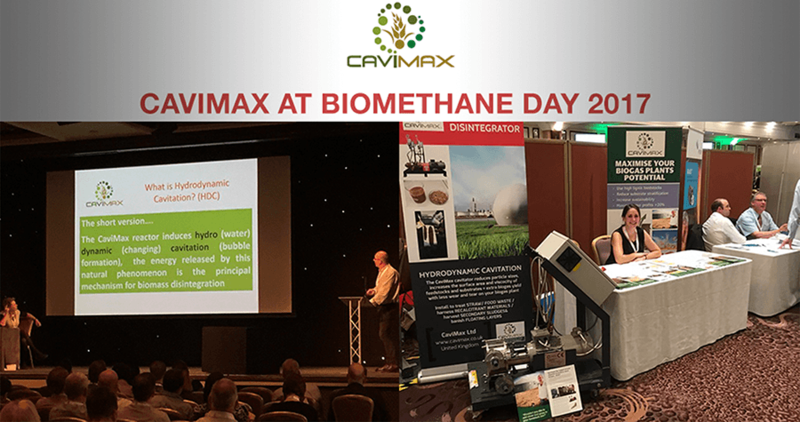 CAVIMAX team presenting at Biomethane Day 2017 - Birmingham. Owen explaining hydrodynamic cavitation applied to biogas production and biomass treatment to increase production of methane, biomass yield and possibility to treat fibrous and "difficult" biomasses, and Emma at the stand responding to visitors' questions. Our hydrodynamic cavitator is ideal to boost existing biogas plants and for new biomethane plants! 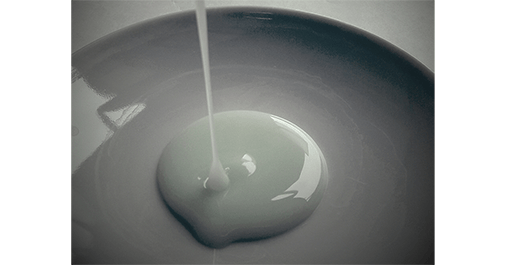 The ROTOCAV cavitator can be used to mix liquids with different viscosities and to homogeneously disperse fragrances and active ingredients. The ROTOCAV cavitator can also be used to efficiently disperse very small gas bubbles into mousses!